If there's one thing I love taking pictures of, it's birds! As subjects, our feathery friends offer the photographer a fantastic challenge. To get a good shot, you need the field craft of a soldier, the knowledge of an ornithologist, the reaction time of a formula one driver, the luck of a lottery winner, and the patience of a Saint! As if these qualities weren't hard enough to obtain, you also need some pretty good equipment too! Take the shot of this pied wagtail for instance. It was taken at around about 300mm on a Nikon D800, and then cropped within an inch of its life so you can actually see the bird! The camera and lens have done a great job at resolving detail, and have produced a good clean sharp image, but it would be nice to have the subject bigger in the frame. The problem is that most bird life in the United Kingdom is a bit on the small side! Getting a decent image usually means either being very close to the subject, or having a rather large zoom lens - or both. 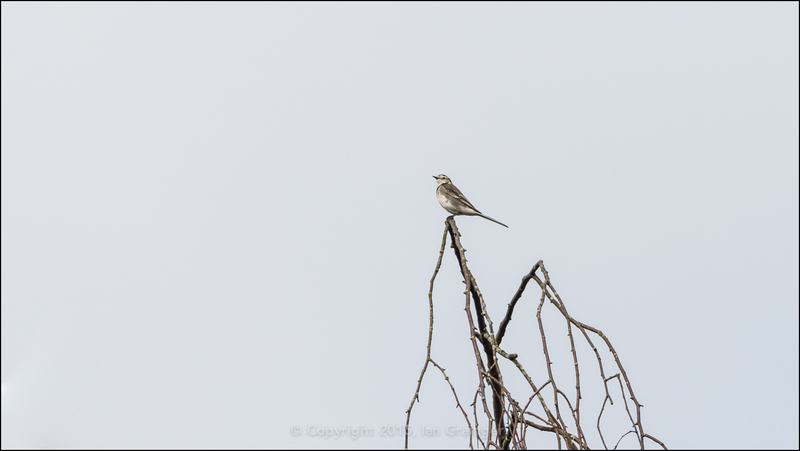 In this instance the wagtail was about 25 metres away, and my zoom lens just wasn't zoomy enough! Ideally, when shooting smaller birds, you'd be better off with a focal length in excess of 400mm, coupled with a nice wide constant aperture to let plenty of light onto the sensor. Unfortunately, lenses with these properties occupy a place in the market at a price point well out of reach of most amateur photographers. It would have been nice if the sky had been blue too, but even deep pockets can't usually arrange for that to always happen! Oh well, I can dream - I'd better start saving those pennies! In the meantime, this little guy is my Image of the Week!